Whatever you do, do not think about sinking your fork through layer after layer of creamy frosting and fluffy cake. Don’t look at that dessert tray. Step away from the bakery! Don’t give a thought to the tantalizing sweetness that floods your taste buds with the first bite. Cake is full of calories. And sugar. (and little glimpses of heaven). But it’s bad for you, so you are never allowed to eat it ever again! See, when I forbid myself from eating cake (and it could be any food here – chocolate, ice cream, chips, french fries – I just really love cake), I end up obsessing over it. I think about it. I dream about it. I imagine myself eating it, and I miss it so dearly that I start exaggerating it’s goodness. I start building it up in my mind and believing that one bite of cake will be the most delicious morsel on earth and that it will solve all of my problems. The more I tell myself to just stop thinking about it already, the less I can tear my mind away from it. I long for it, practically aching for it, and end up constantly frustrated with myself for craving such an unhealthy food to begin with. 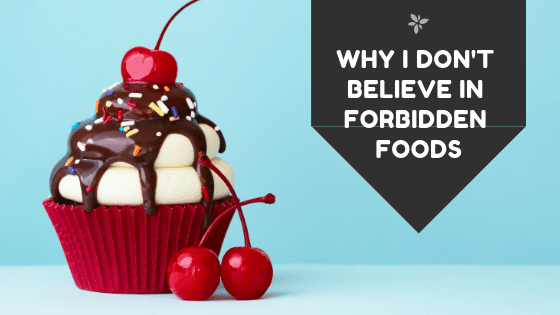 I don’t believe in forbidden foods! When I made the shift to focus on eating more healthy foods instead of not eating the junk food, that’s when the biggest change happened. 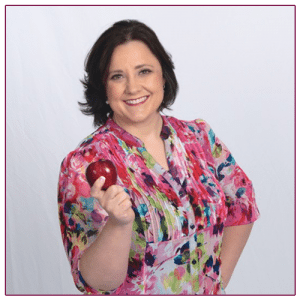 There are no foods that are off limits in my world, but there are plenty that have gotten pushed aside because I just like the healthier ones better. Have you made any foods forbidden in your world? 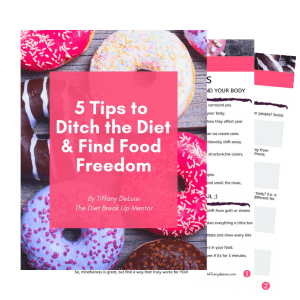 To learn more about how you can break up with the dieting mentality, CLICK HERE to download my complementary guide, 5 Tips to Ditch the Diet and Transform Your Body.